Tuesday evening's Irish Cup fifth-round replay between Larne and Lurgan Celtic at Inver Park has been postponed because of a waterlogged pitch. It's the second occasion the replay has fallen victim to bad weather as it was previously scheduled for last Tuesday. The replay is now expected to be re-scheduled for next week although there is no news yet on a date. 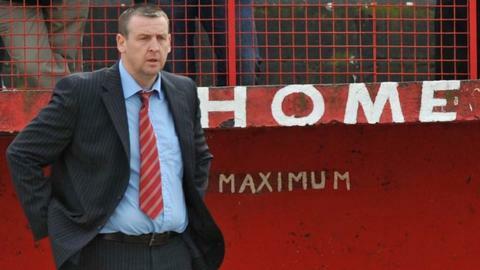 The sides drew 1-1 on 12 January when a late goal from Gary Workman earned Larne their replay chance.